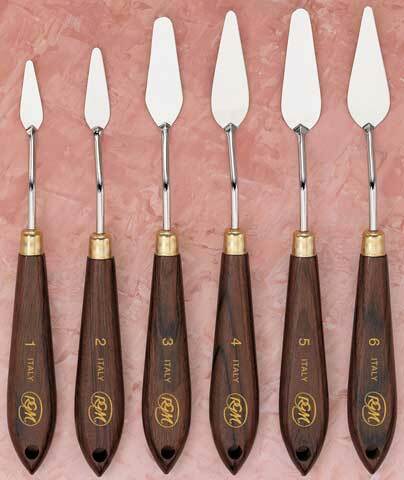 These high-quality painting knives are offered at an exceptionally low price. They are manufactured of quality, seamless carbon steel and feature solid brass ferrules and hardwood handles with peg holes. Each blade is tempered and ground by hand to assure consistent flexibility and quality. Click here for knife reference chart (available only with handle H1 dark brown bubinga).